Alexandria Romero, connect mind, body, heart, and spirit. In December of 2012, when I was six weeks pregnant with Amelie, and mom to two year old, Ava, my beloved husband, Mitch, died. I became a widow at 30 years old. Weeks after Mitch died, with the amazing support of the Chairwoman of my program and after 4 years of schooling, I graduated with my Master’s degree in Transpersonal Psychology, from Sofia University. Intuitively I knew I needed solitude, nature, and community to heal through the devastating loss of my husband. I was utterly heartbroken, but thankfully determined to find joy and light each day for my two year old daughter, and my daughter in utero. My heart guided me to return to Costa Rica, the country where I had been an Elementary School teacher and had a wonderful community, and where Mitch and I first lived together as a married couple. Within 10 weeks of Mitch's death, my daughter and I had returned to Costa Rica. I spent the next year and a half in Costa Rica, before returning to Southern California, processing my grief daily through writing, being in nature, and finding solace in both the solitude and supportive community. It was there that I home-birthed Amelie, and where Ava attended my dear friend's Montessori Preschool. I learned how to feel connected to my husband spiritually, through meditation and attuning to the subtle, and sometimes not-so-subtle signs. I found ways to creatively express my feelings through dancing, writing, and singing. And as difficult as widowed parenting was, I felt grateful that I was alive to do it. I began creating workshops and online courses, to help people live more mindful and heart-centered lives. I started working one-on-one with people to to help them heal the relationships with themselves and the people they love. I taught grief workshops for kids and their parents. 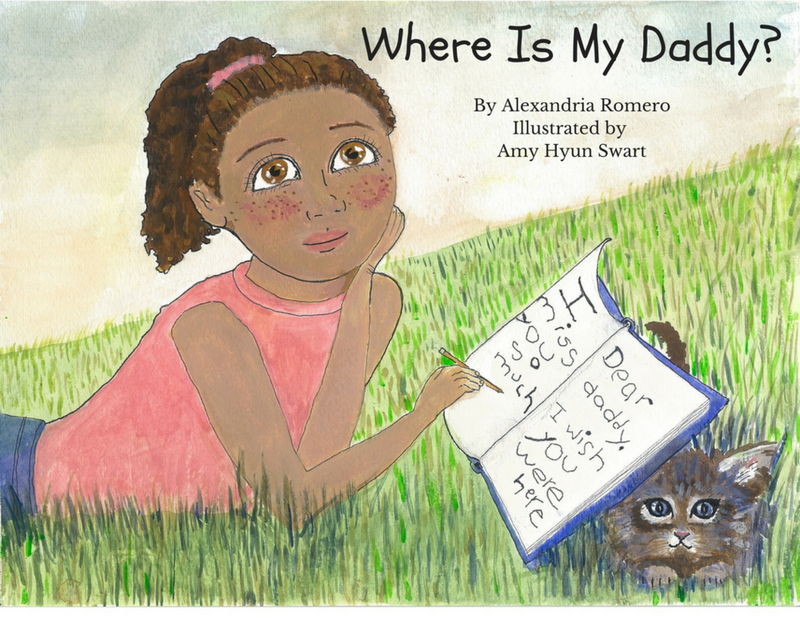 And I published my first children’s book, Where Is My Daddy?, a book created to help kids navigate through grieving and healing through the death of a parent. Now, I process my grief when it arises, and I help my kids process their grief as it arises. And I let the grief serve as a reminder of what is of truest importance in my life- LOVE. The peace in my heart continues to grow and expand with the years. *Learn more about my workshops, online courses, and holistic guidance. *Order a copy of my children's book, Where Is My Daddy? Much love to you on your journey, and thank you so much for being here! Watch this mini-documentary of the story behind my children's book, "Where Is My Daddy?" As special thanks to my very dear and talented friend, coventryautomatik.com for creating the film! Click here to listen to my interview about grief on the spiritual path. I offer tools that helped me best through my grief over my husband's death, how to best help someone who is grieving, and the lessons grief has taught me about life. Enjoy! Alexandria Romero has her Master's Degree in Transpersonal Psychology, and specializes in the empowerment of women and girls, cultivating mindfulness and heart-centered living in everyday life, and bereavement. She teaches meditation and journaling workshops and online courses, and offers Transpersonal Therapy. She is the published author of a grieving and healing book for kids called, Where Is My Daddy? Alexandria is a widowed mom to two daughters, and is passionate about healing relationships, and giving women and kids the tools to creatively express their experiences.